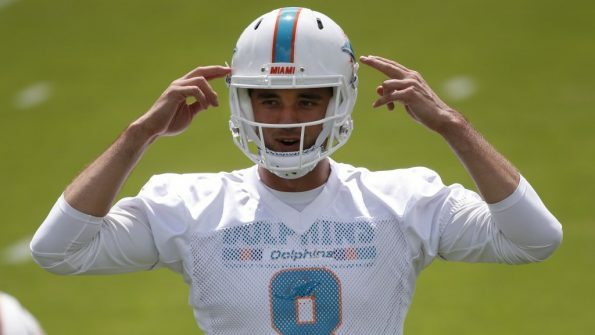 That was one of the few good days he had, because Osweiler has been a turnover machine for the Miami Dolphins at training camp so far. The QB that the Houston Texans gave a 4-year, $72M deal to can’t seem to stop throwing balls to the defense and it has led to a staggering amount of turnovers. Brock Osweiler week long stretch without INT ends. Calhoun picks him. QB Brock Osweiler throws another INT. His sixth INT of training camp. Osweiler throws his seventh interception of training camp. Osweiler is in a competition with David Fales for the backup quarterback position.